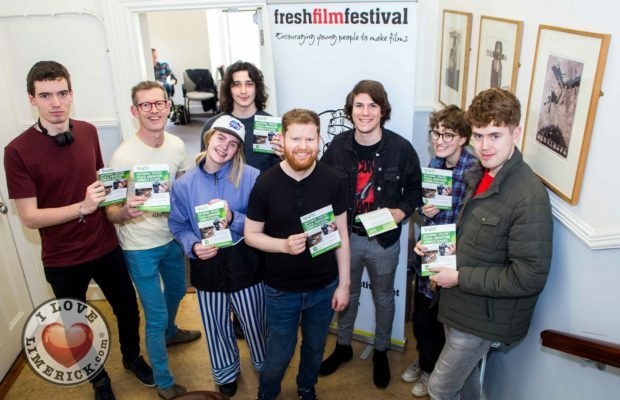 Conor McMahon, Film Director (centre), with participants from the Fresh Film Festival workshops. Photo: Cian Reinhardt/ilovelimerick. 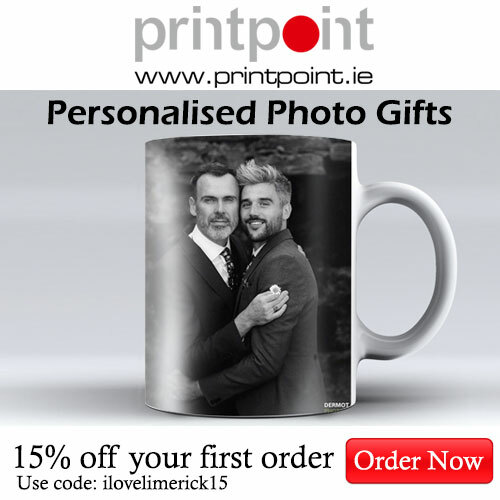 by ilovelimerick correspondent Conor Owens. 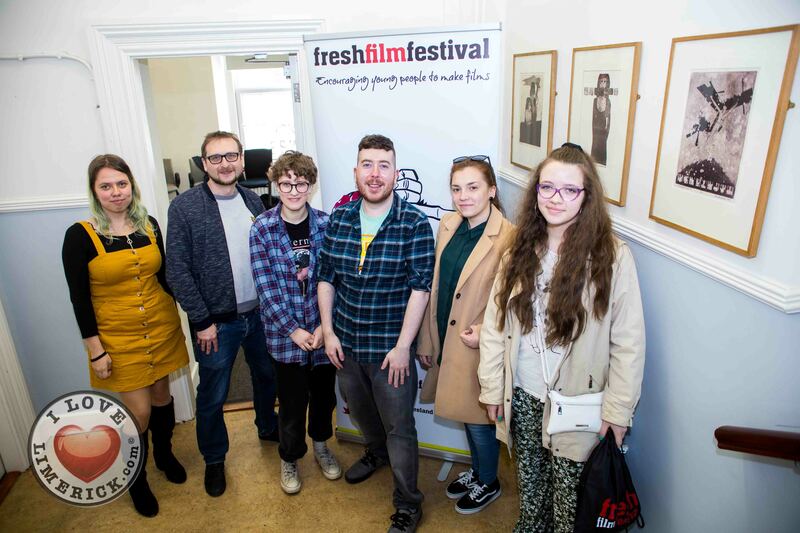 Irish filmmaker Conor McMahon was the guest speaker of Fresh Film Festival’s Industry Master Class with the National Youth Film School (NYFS) last Friday. 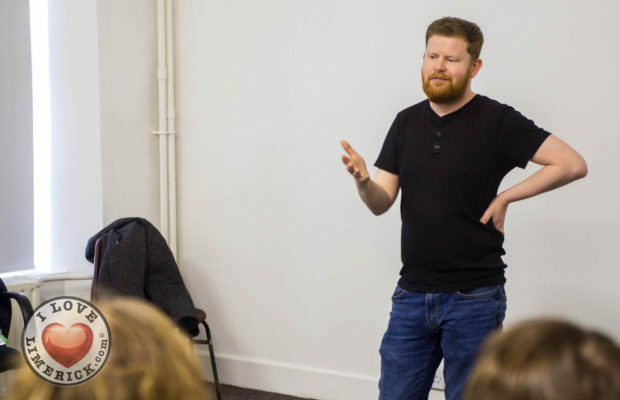 The Irish director spoke about his career in filmmaking as part of the National Youth Film School Masterclass series, which aims to explain how filmmaking careers are built and how the industry works. 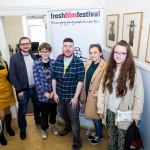 Hosted by the NYFS as part of its relationship with Irish Film Industry bodies, the series is designed to provide young film makers with greater access to the workings of the film industry in Ireland. 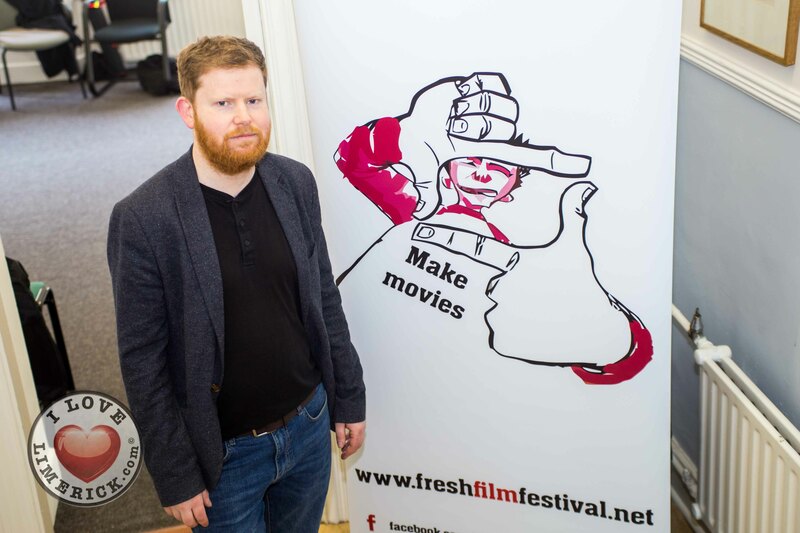 Conor has been part of the Fresh Film Festival judging panel for years and led numerous workshops. 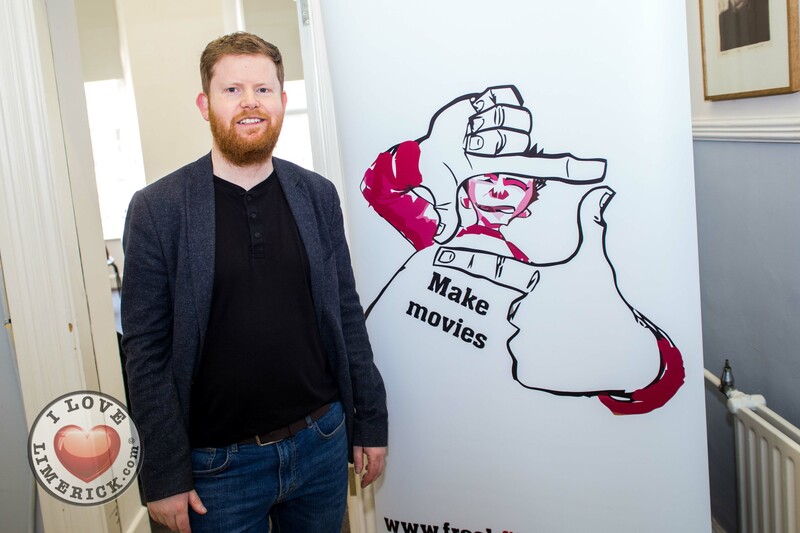 A former student of the Irish National Film School in Dun Laoghaire, Conor is a previous winner of the Fresh Film Festival himself, winning second place in the 1997 Young Irish Filmmaker of the Year Awards with a trilogy of horror films, including one called ‘Maniac’. 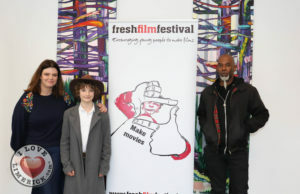 Since the debut of his first film, Conor has had a successful career as both a director and editor of movies and tv shows and has continued to win various awards for his stellar work, including best short at the Sitges Film Festival in Spain, first prize in the Kodak Commercial Awards in London and second place at Edinburgh’s Dead by Dawn Horror film Festival. 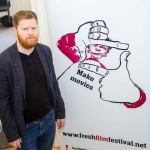 Conor McMahon, Film Director speaking to people at the Fresh Film Festival Workshops. Photo: Cian Reinhardt/ilovelimerick. 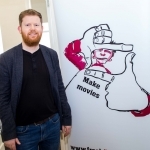 In 2004 he made his debut feature film ‘Dead Meat’ which was funded by the Irish Film Board. 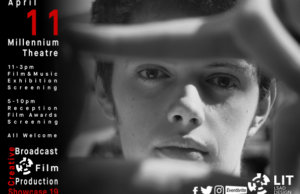 Despite having a minuscule budget, ‘Dead Meat’ was a successful addition to the horror genre that proved popular with viewers thanks to Conors characteristic strain of visceral humour. Conor went on to direct the tv series ‘Zombie Bashers’, which lasted 6 episodes in total and aired on television in 2010. 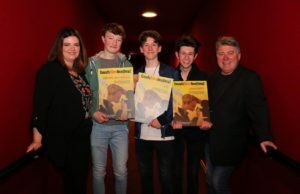 The show was an entry in the RTE Storyland online series scheme and proved successful with horror and comedy fans alike, being voted the eventual winner of the competition. His 2012 feature film ‘Stitches’, starred British comedian Ross Noble and won best film at the Midnight Xtreme section of the prestigious Sitges Film Festival. 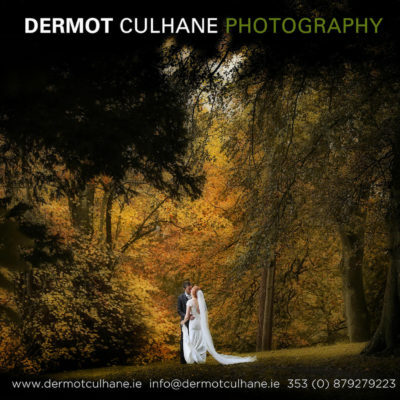 His latest horror film in 2014 ‘From The Dark’ follows the story of a couple on a trip through the Irish countryside who find themselves hunted by a creature who only attacks at night. 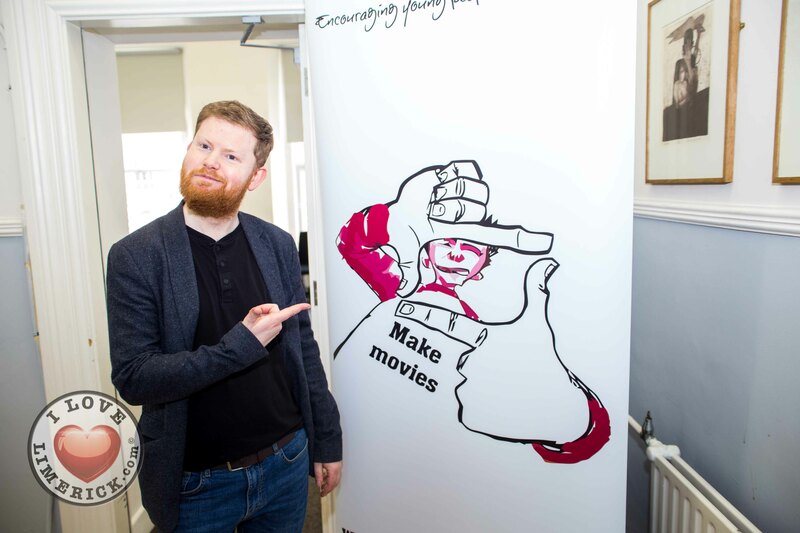 Along with developing his feature films, Conor has worked on numerous seasons of the popular RTE sketch show ‘The Republic of Telly’, writing and directing sketches with acts like The Rubber Bandits, Damo & Ivor and Georgia Salpa. 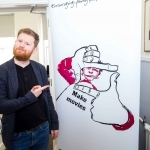 Conor also has worked as an editor with the RTE hidden camera show The Fear.